Netanyahu blames “Anti-Semitism of the Third Kind” for the failed Israeli spacecraft that crashed on the moon just moments before touchdown. 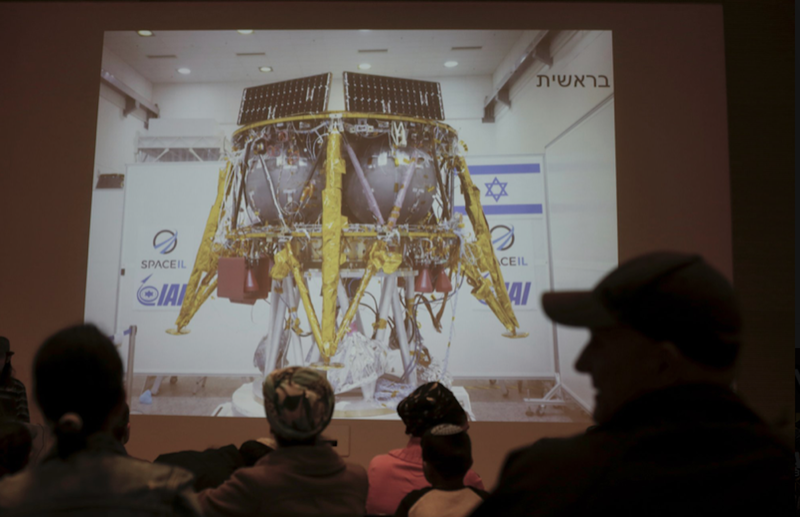 SpaceIL, Israel Aerospace Industries, announced that the first Israeli lunar spacecraft, Beresheet, failed miserably. “We definitely crashed on the surface of the moon,” said Opher Doron of Israel Aerospace Industries. Unconfirmed sources say the Beresheet (Hebrew for Genesis) spacecraft was carrying a box full of bones and DNA samples of Theodor Herzl and David Ben-Gurion so they can be buried there. This would’ve provided enough justification for the Israeli government to annex part of the moon as another land without a people. King Bibi, (AKA Benjamin Netanyahu), has declared a month of mourning. “I was hoping the moon landing would be another victory for Zionism and Mankind, (providing they are from one specific religious group of course)”. Bibi blamed “the Axis of Anti-Semitism of the Third Kind for this sabotage, and it will be recorded in history on par with the Mufti instigating the Holocaust,” a teary Bibi said today. The Prime Minister added that given his recent victory in the election, he would start a process to annex the West Side of the Moon immediately. “Those who oppose Israel are nothing but Anti-Semites of the Third Kind,” Bibi emphasised in case you didn’t hear him the first time. Those who say that Zionism created a fictional ‘Palestine, a land without a people’ should nonetheless hang their heads in shame. The moon is yet another example that Theodor Herzl was right despite this failed landing. News of the failed Beresheet, and the ensuing annexation of the West Side, were met with celebrations across all Palestinian refugee camps in Gaza, West Bank, Lebanon and Jordan. “Ok.. so they failed, but they did find their own ‘land without a people’! Can they please give us our land back! ?” said Leila, a 3rd generation Palestinian girl born in exile.